Industry security experts have concluded that maritime crime will not be stopped any time soon – and that cyber incidents would continue to expand in frequency and severity. 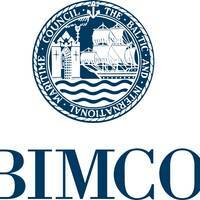 This was the consensus at BIMCO’s first ever Maritime Security Seminar in Copenhagen. There was further consensus that regional instability in the Horn of Africa confirms the need to retain legacy systems such as the Maritime Security Centre – Horn of Africa (MSCHOA) and the Shared Awareness and Deconfliction (SHADE) initiative to continue to deter piracy. Pirate gangs in West Africa are switching to kidnapping sailors and demanding ransom rather than stealing oil cargoes as low oil prices have made crude harder to sell and less profitable, shipping officials said on Tuesday. Attacks in the Gulf of Guinea - a significant source of oil, cocoa and metals for world markets - have become less frequent partly due to improved patrolling but also to lower oil prices, according to an annual report from the U.S. foundation Oceans Beyond Piracy (OBP), which is backed by the shipping industry. "They have had to move towards a faster model and that faster model is kidnappings," OBP's Matthew Walje said, noting that ransom payouts were as high as $400,000 in one incident. Maritime crime and piracy have not disappeared, indeed without continued efforts from both the private and public sector, could well return, say the experts in at London International Shipping Week during BIMCO Breakfast Brief. However, he continued to say, “Collectively we have been able to curtail their use of mother ships to attack far from the coast, but I remain convinced that if pirates perceive that we are lowering our guard, they will seize the opportunity and plan an attack on a vulnerable ship. The Baltic and International Maritime Council (BIMCO) informs it has continued its support for the Oceans Beyond Piracy (OBP) “The State of Maritime Piracy” report, which addresses how piracy is affecting the shipping industry – and beyond. BIMCO’s Chief Shipping Analyst, Peter Sand and Chief Maritime Security Officer, Giles Noakes provided OBP expert audit and shipping industry expertise to the report content. In addition Giles Noakes, will provide his expertise in global industry security practices during the panel of the launch event on June 10, 2015. The decision of the EU Council to launch EUNAVFOR Med* was today strongly welcomed by BIMCO, following the association’s statement on 24 April calling for an extension of Operation Triton’s geographical reach. BIMCO’s April statement highlighted the risks to the health, safety and security of seafarers who assist distressed migrants in increasingly large numbers – and that merchant shipping is not equipped to handle the humanitarian crisis at sea caused by the levels of migration in the Mediterranean. Improvements in security have not reduced the number of stowaways or the number of incidents and it is seafarers who have to cope with the extra work, delay, uncertainty and possible violence. This is why The Nautical Institute has today (Wednesday, April 9, 2014) launched Maritime Security handbook: stowaways by sea, aimed at helping people who have to deal with stowaways by giving advice on the preparation and training that is needed both onboard and ashore. The handbook gives practical guidance on making a vessel secure against stowaways, managing any that have succeeded in getting onboard, collecting the necessary evidence and organising the repatriation process. On Feb. 4, Congressman Elijah E. Cummings (D-Md. ), Chairman of the Subcommittee on Coast Guard and Maritime Transportation, will convene the Subcommittee to gather information on the causes and extent of piracy and to understand its effect on international shipping. 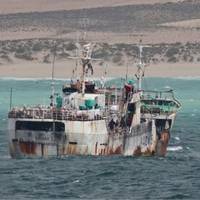 Although no U.S.-flagged vessels have been attacked or seized by pirates, the expansion of international piracy—particularly in the Horn of Africa region—threatens to raise the costs of transporting goods through a highly traveled region at a time of significant distress in the world economy. WHO: Congressman Elijah E. Independence Ave. at S. Washington, D.C. Rear Admiral William D. U.S. Mr. U.S. Mr. Captain Phil M. Mr. Mr.